Clean Bandit are a British electronic music group formed in Cambridge in 2008. The band consists of Grace Chatto (cello, percussion, vocals) and brothers Jack (bass, keyboard, vocals, piano, production) and Luke Patterson (drums, percussion). Their music features elements of dance music, electronic, and classical, and their songs are often collaborations with other artists. Their 2015 hit song “Rather Be (feat. Jess Glynne)” won a Grammy for Best Dance Recording, and their 2016 hit “Rockabye (feat. Sean Paul & Ann-Marie)” was an international chart-topper. The latter has accumulated more than 1.4 billion views on YouTube. 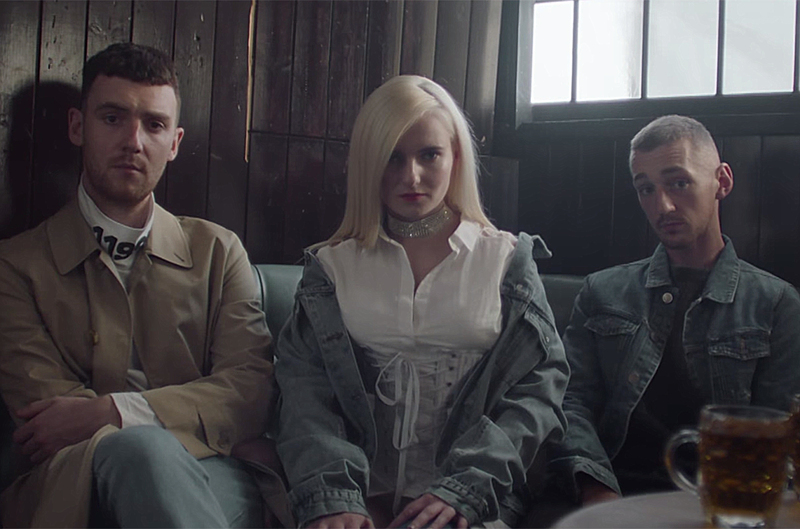 You can keep up with Clean Bandit on their YouTube channel, Facebook, and website. Pitch Shifting granular reverse echo. A mind-warping sound design trip. Pitch and formant shifting and hard-tuned robot effects for transforming vocals. "If there's a sound that doesn't quite have the edge that I want, I'll use Decapitator to give it more angst." "Decapitator made my 808 kicks on Desiigner’s 'Timmy Turner' growl and gave them great presence in the mix. Love it." "Soundtoys plug-ins were irreplaceable tools in helping create the Black Panther score." "The lead single from Every Open Eye, 'Leave A Trace', includes Soundtoys plugins right from the intro." "Crystallizer is my favorite and at this point an essential element of my sound. When it’s applied to my voice, I can create intimate, dreamy textures. The way it interacts with Korean words when delayed and reverse recycled is unlike anything else." "My professional life can be considered in two periods; life before Decapitator, and life after Decapitator." "Since getting Soundtoys, every channel on every track has Soundtoys on it." "EchoBoy has always been my favorite plug in by Soundtoys. I try to use it really creatively on chopped up vocals to create new textures." "Once you start using all of these plug-ins you find it hard to stop." "Plug-ins like Decapitator, Devil-Loc, EchoBoy, Little AlterBoy, FilterFreak… to me these aren’t just for post-production and mixing - they can also serve as sources of inspiration during tracking and writing." "Soundtoys has helped me to achieve "In-The-Box" what I was used to when mixing on analog desks." "Soundtoys 5 has amazing tools for creation and playing, but also for mixing and making your sound bigger." "Soundtoys plug-ins help me come up with tons of alternate ideas and sonic palettes that I might have not otherwise thought of." "FilterFreak's lowpass sort of defines the Radiolab sound." "EchoBoy is not just a delay plug-in - it adds life to your sound." "Soundtoys plugins bring the vibe to every single one of my mixes. No Soundtoys, no mixing." "Soundtoys has the most unique and useful color palette out there, and all the plug-ins are suited to my needs as a record maker." "This bundle is absolutely fantastic!" "[Soundtoys] are an integral part of how I create space and manipulate time in my mixes and give me the tweakability that I need as a dub mixer." "MicroShift is a secret tool I use for my vocals - it adds an amazing wideness but doesn't lose the vocals in the mix." "Without these tools, we would be a much different sounding band." "Soundtoys have made a wonderful collection of plug-ins that are downright musical." "Soundtoys found a way to put soul, feel, grit and warmth into the digital world." "I can't do a track without using EchoBoy and FilterFreak... they're equal to finding drums or a pad." “The Soundtoys 5 bundle is a must have in my plugin arsenal." "The Soundtoys Plug-ins were absolutely necessary in the completion of my album, Phase." "Soundtoys plug-ins sound absolutely incredible and I use them all the time." "I’m constantly using them in the studio and on stage." "Calling EchoBoy a delay plug-in is doing it a disservice. It has become the first thing I turn to for treating a wide variety of sources." "EchoBoy is definitely my echo of choice." "I love Soundtoys plug-ins. They’re practical, creative, fun and effective. I use them all, and a few…I couldn’t live without." "These plug-ins are amazing. They get used on every song I work on." "My favorite plug-ins, hands down, are Soundtoys EchoBoy, FilterFreak (1 and 2), and Decapitator." "The Crystallizer and EchoBoy are in constant use, I’m literally obsessed!" "Soundtoys are absolutely essential to my production work." “I’ve become increasingly dependent on Soundtoys." "Soundtoys plug-ins have proven that analog effects can be attained in the digital domain." "They have become my ‘go-to’ plug-ins."